Vivid and rich, extremely sophisticated black and white theme wedding invitations will definitely spell high elegance and purity. Right choices of design elements will give your black and white wedding invitations such lively, full of mystery wedding event. The guest will surely get their hands on your invitation to read the details and remember the dates. Choosing sophisticated black and white wedding invitations will allow you to convey how elegant, or how highly formal your wedding is, or how modern, conventional or chic your fabulous wedding be. 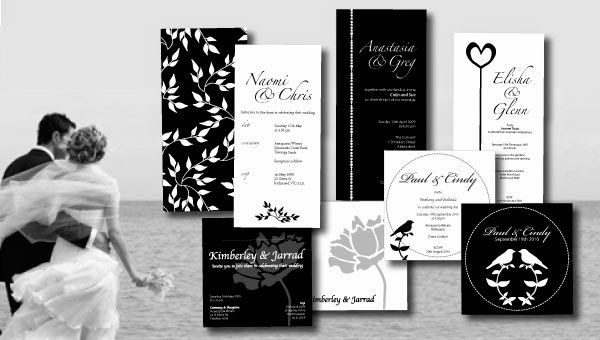 Black and whites designs give you total versatility of the theme you want to have. For highly luxurious weddings, white rich floral loops on a pure black textured canvass makes it very elegant and sophisticated. Fonts with big loops and tails gives the impression of a rich traditional event is about to happen. If you want something modern with minimalist designs of black and white design elements, adding a few snapshots of your happy moments will make the trick. Black and white pictures can also add to the minimalist impact of the invitation, or you can choose to clip lively, vibrant pictures that become the center of attention of the one who will read it. Browsing several invitation sites will give you the idea of how you want your invitation to look like. Enough time is all you need to gather all the ideas and imagine how your bold or minimal your black and white wedding invitation be. If you want to put some colors, you may absolutely do so without changing the overall all touch of being black and white theme of the design. Putting some flowery vines accents or vivid pictures, as long as they blend well on the over-all design concept will surely hit the nail and will still yield sophisticated drama of the invitation. You can also make use of vibrant see through envelopes, where the hue of black and white can still be seen. 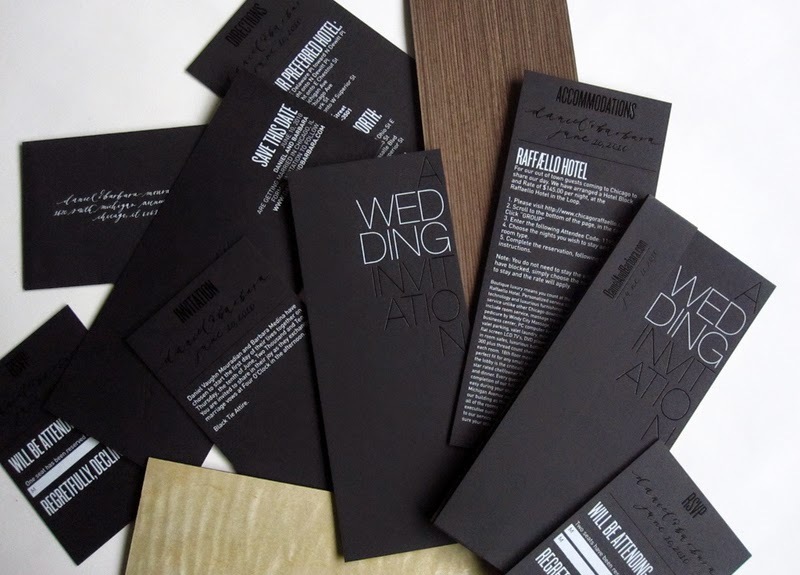 Of course you can always choose black wedding invitations with a minimal amount of other colors. 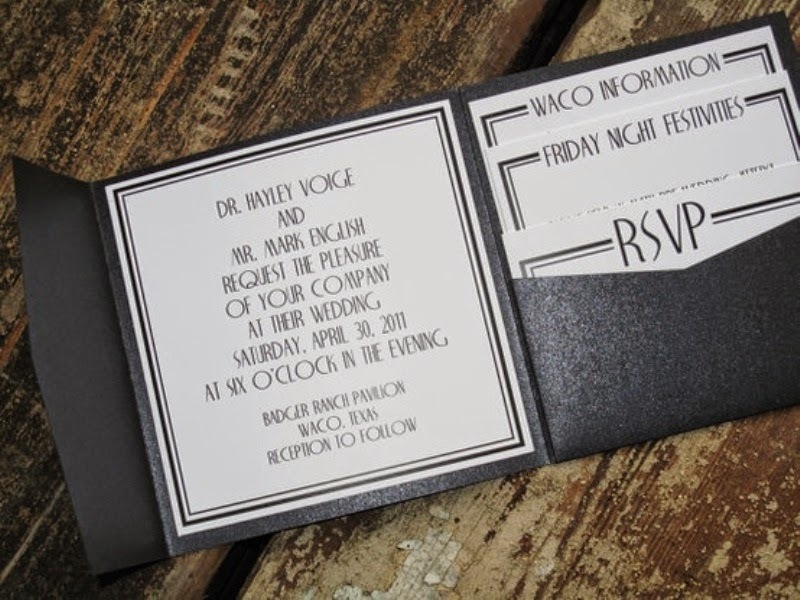 The main invitation can be black and then you can add other colors in the form of the text color or accents, like flowers, vines, or other decorative items. 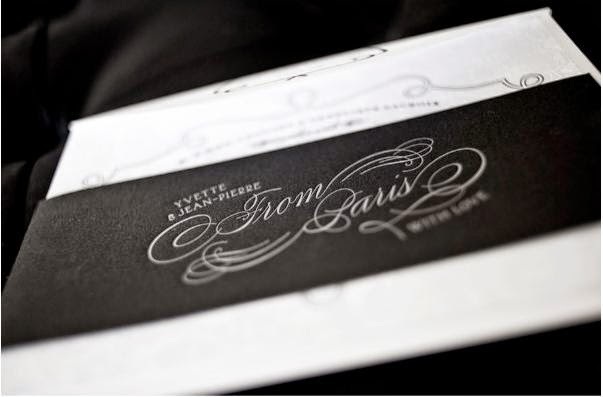 Black and white wedding invitations are simply outcome of how modern we are now. You don't need to ban blacks on your weddings. Instead, make use of this bold and distinct color to make your invitation unique, outstanding and sophisticated one that will be truly remembered and kept by your guests.